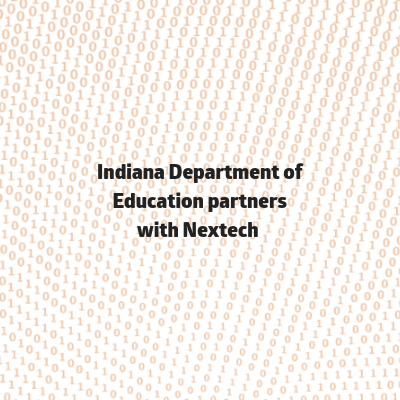 Nextech, an Indianapolis-based nonprofit dedicated to creating equitable access to computer science curriculum and experiences for all K-12 Indiana students, announces they have received $670,000 in funds from the Indiana Department of Education. These funds will be allocated for training teachers to better implement computer science into schools across the state of Indiana. The recent signing of Senate Bill 172 by Governor Eric Holcomb mandates all schools have computer science curriculum implemented by 2021. This legislature is a major factor in pushing for Indiana educators to be trained in teaching computer science. As the Code.org regional partner for the state of Indiana, Nextech brings nationally recognized K-12 curriculum and professional development to high school and middle school classrooms in Indiana. Our program supports teachers with diverse backgrounds. Whether new to teaching computer science or those with several years experience, this program promotes growth in teaching practice and provides space to become comfortable with the curriculum and associated teaching strategies. Prior to the start of the 2018-19 academic year, Nextech provided 7,081 hours of professional development to 174 educators from 89 schools Indiana. The IDOE funds will be dedicated to facilitating in-person professional development workshops for an additional 800 educators statewide during the 2018-19 academic year.